Be patient digging your soil. With the unimpressive winter and early spring this year, it’s tempting to get out and starting working in your beds. But turning things before the ground dries will damage the structure of your soil, giving you a heavy, leaden mess with few air pockets and greatly diminished capacity for root and soil microbe health. 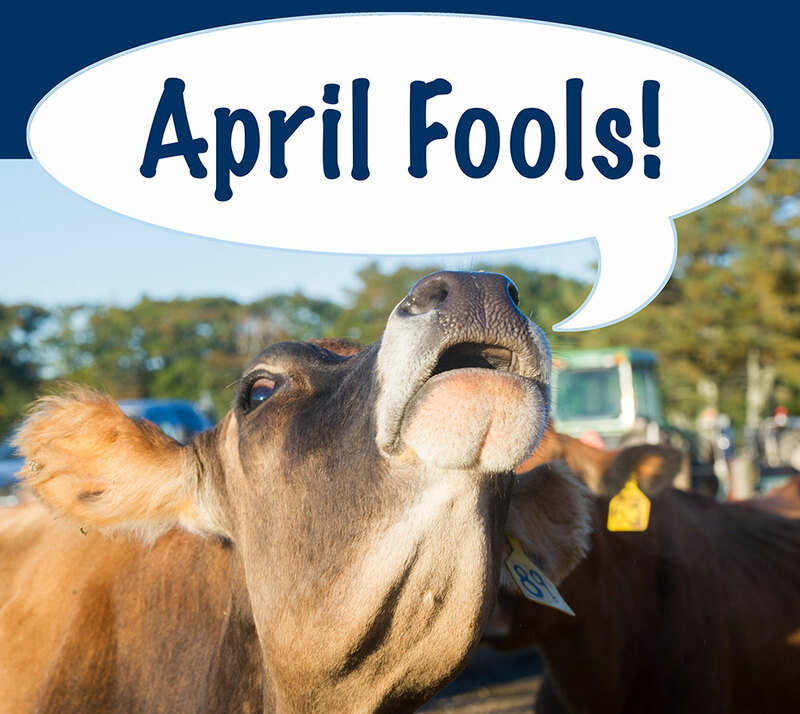 Remember that the ideal soil is 45-25% not even there! That is to say, we like to see about that much air space in any given sample, to provide proper aeration for the living community beneath our feet and plants. See the USDA’s comparison of good vs. compacted soil. To check your soil, take a good handful and squeeze it into a ball, then prod it gently or drop it to the ground — if it crumbles easily, you are ready to work, but if it is overly pliable or compresses, fight the temptation to dig. If you absolutely must get your hands dirty, this can be an excellent time to get a head start on early season weeds. 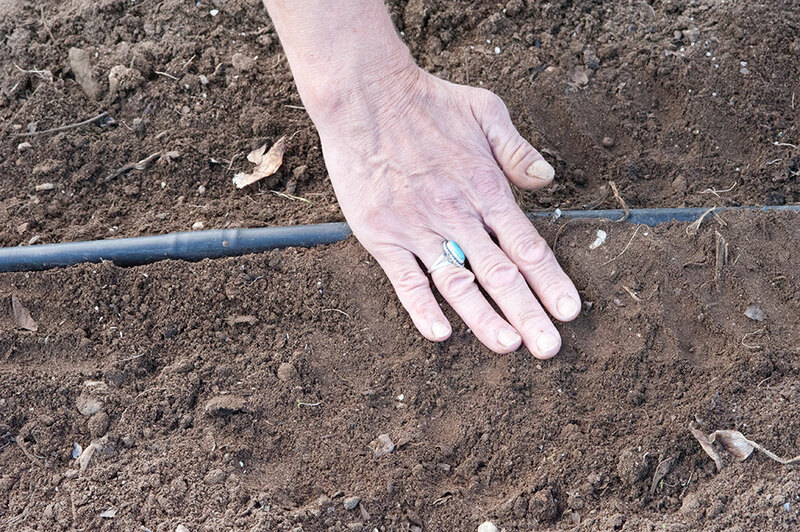 For more information on preparing spring soil, see Practice patience when preparing garden soil (PDF) from the University of Missouri Cooperative Extension. Get in on the ground floor with Citrus x paradisi. The USDA’s Economic Research Service recently released its 2016 Crop Outlook Predictions report, stating that with Maine’s changing climate, grapefruit is surprisingly likely to be a very strong crop in the coming decade for both our commercial growers and home gardeners. High quality seeds can be obtained simply and inexpensively from squeezing out fruit purchased at your local grocery store or farmers’ market — just make sure the flesh hasn’t lost firmness and there are no dark blemishes on the fruit’s skin (both signs of prolonged refrigeration and reduced seed viability). 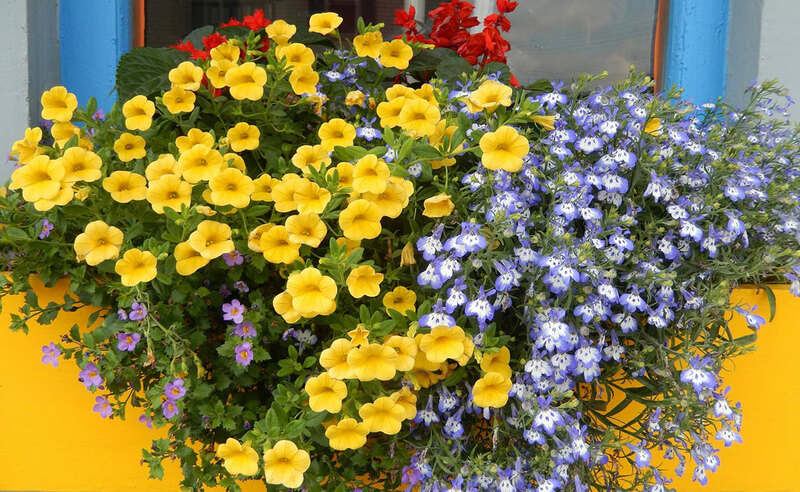 Now is the time to plant those beauties in rich, well-drained potting medium and watch them grow! See instructions for details. Sowing seeds. 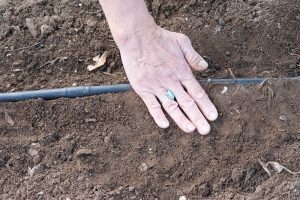 Once the soil has warmed and dried, it’s finally time to get out there to plant — beets, carrots, lettuce, peas, radishes, spinach, chard, spinach, seed or set onions, and turnips can be directly seeded or planted. It’s also time to start your tomatoes indoors, although they’ll have to wait a bit before exploring the outside garden. Think about soil testing. We generally recommend that you have your garden soil tested every 3-5 years, or if you notice a drop-off in productivity. It’s always wise to test before adding soil amendments, as you may unintentionally overdo things with the best of intentions and hamper your efforts. You can learn more about soil testing in the Testing Your Soil, Bulletin #2286. Free test kits are available from your local UMaine Extension county office or the University of Maine Analytical Laboratory and Maine Soil Testing Service. Educate yourself on new invasive species. 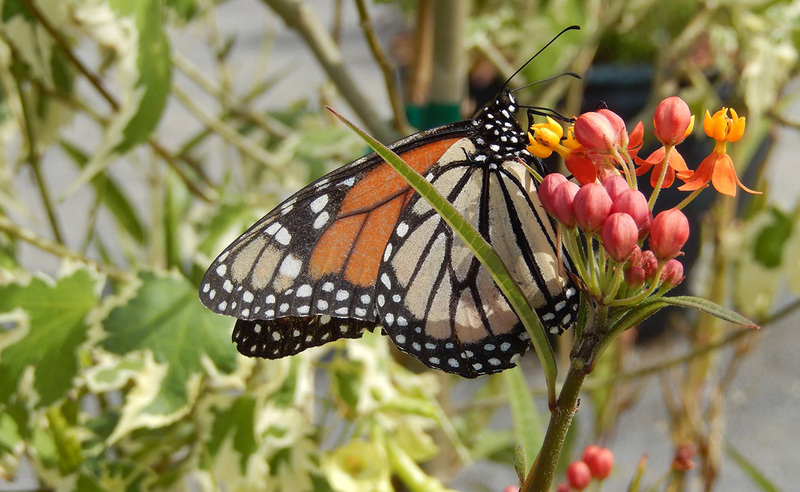 While you’re out looking for winter-damaged plants, make sure you check for evidence of predation and damage from other garden pests. 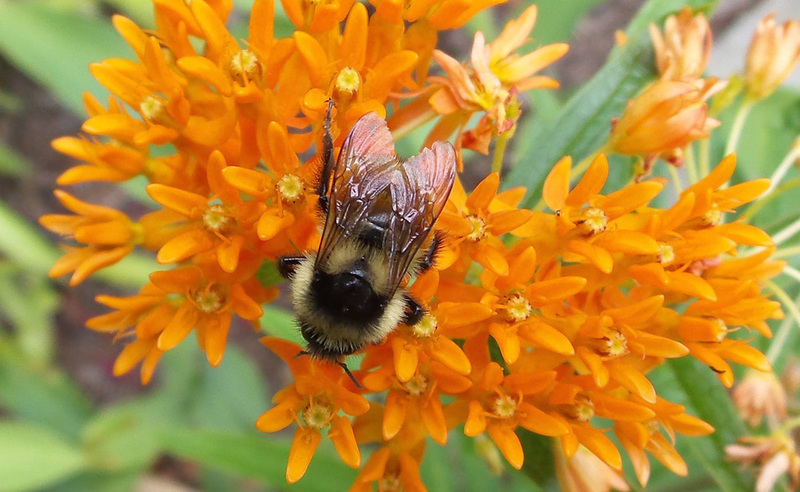 Deer and rodents can be expected to cause a certain amount of damage each year, but we have a particularly aggressive Scandinavian newcomer cropping up in our Maine landscape, with the ungainly name of Nomea diminutiva Botanicalis. Utah State University’s Cooperative Extension has a great practical guide to control of the pest here. Collect, consume fiddleheads. Be on the lookout for our annual spring treat, the tender, coiled shoot of the Matteucia struthiopteris fern — learn how to identify the plant in Ostrich Fern Fiddleheads, Bulletin #2540. Once you’ve got a full bucket, and have explained to your puzzled, chilly relatives from away what they are about to enjoy for supper, get quick and easy instructions for cooking them up in Facts on Fiddleheads, Bulletin #4198. Wind down the sap operation. Make sure you complete your maple syrup tapping operations before the trees begin to bud out with new growth for the spring — the taste of the sap will deteriorate thereafter. Learn more about how to make sugary deliciousness in your own yard from How to Tap Maple Trees and Make Maple Syrup, Bulletin #7036. The Maine Wild Leek Project is a collaborative project between the University of Maine Cooperative Extension and the Maine Natural Areas Program. 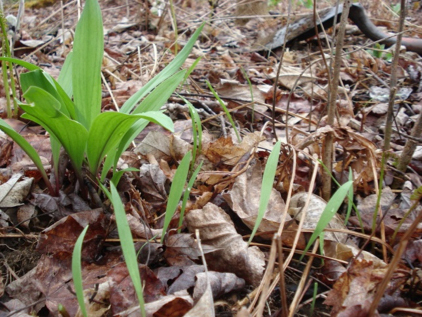 The purpose of the Maine Wild Leek Project is to educate about wild leeks and to document the distribution of wild leeks in Maine as well as the relative size of given populations. This documentation will help the Maine Natural Areas Program expand their knowledge of wild leeks and improve opportunities for its conservation. 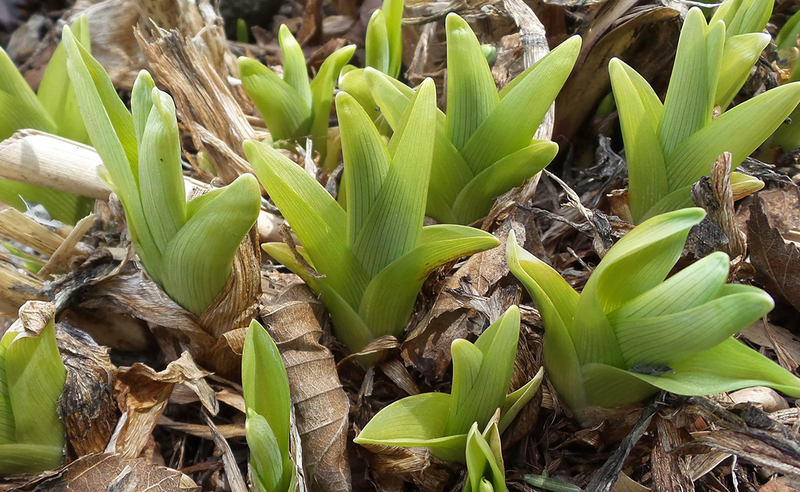 Additionally, participants will get more information from UMaine Extension on wild leeks in months to come, including the latest research efforts on the effects of harvesting and a fact sheet on establishing your own wild leek patch. Wild leek (Allium tricoccum), sometimes called ramps, is a native member of the onion family that grows in rich hardwood and floodplain forests. 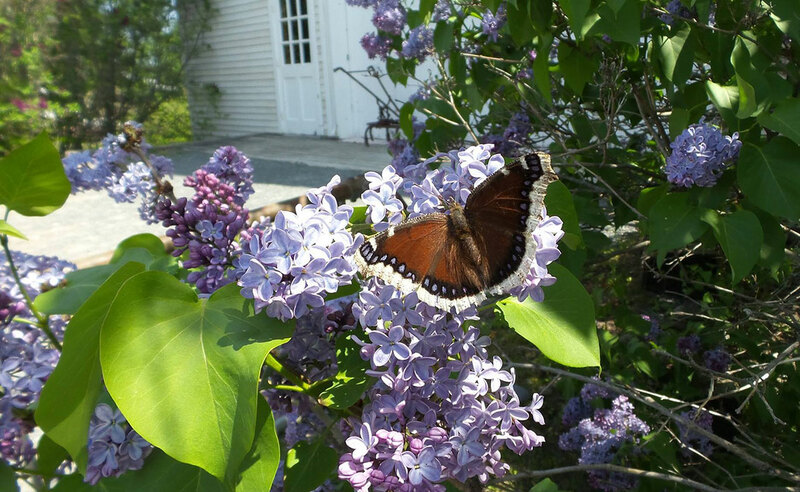 In Maine it’s mostly found in the southern half of the state, with few occurrences in the north. Wild leek is a perennial herbaceous plant that grows from a narrow onion-like bulb. The leaves, typically two, arise directly from the bulb, and are long-elliptic, rather fleshy, and shiny green, tapering at the apex to a broad point. They usually measure 4-10 inches long by 1-2.5 inches wide. 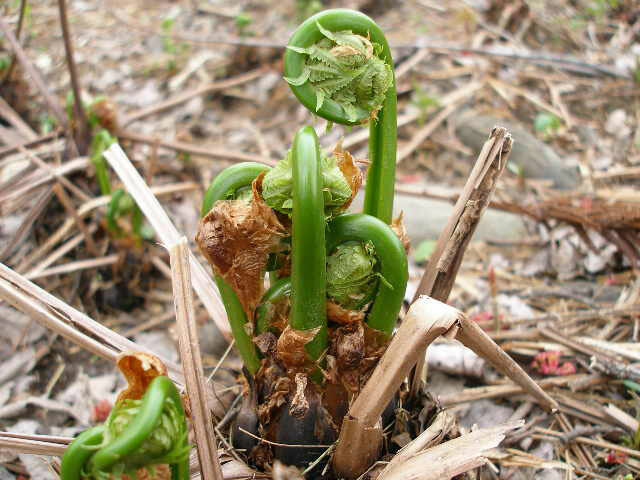 Leaves emerge early in spring, prior to the appearance of ostrich fern fiddleheads. As the leaves wither in late spring/early summer, flowers are produced on a tall leafless stalk, forming a small globe-like inflorescence. The 6 petals are white, and the fruits are distinctively three-lobed. All parts of the plant smell strongly like onion when bruised or crushed. For more information and images to help with the identification of wild leeks, visit the Maine Natural Areas Program wild leek page. With the increased interest in local and foraged foods, wild leeks are increasingly harvested and appearing on restaurant menus. But relatively little is known about how many wild leeks there are in Maine. The Maine Natural Areas Program lists wild leek as a plant of Special Concern due to its limited distribution and numbers, with only 23 sites known to currently support the species. Historically there have been more sites, but it is not known whether wild leeks still occur at some sites. Wild leek clone formed from connected rhizomes. Photo by Dave Fuller. Wild leeks are slow-growing plants with some individuals living for up to 20 years. 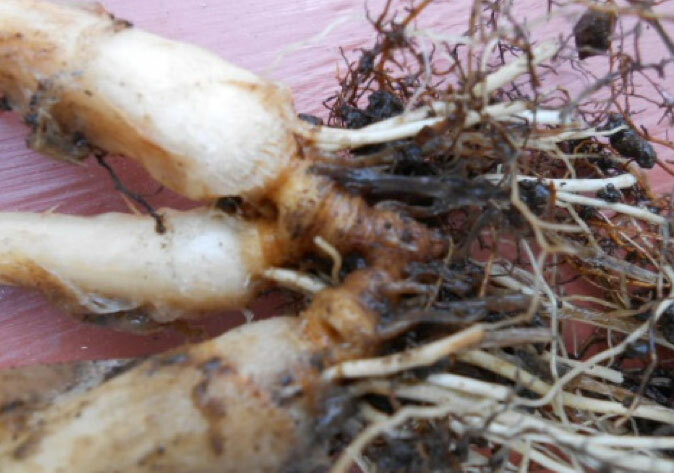 Propagation is by seed and rhizome. Plants generated by seed are slow to grow, with seeds requiring a considerable dormancy and vernalization process. New plants will not begin to bear seeds for about 6 years. Research to establish the effects of harvesting on wild leeks in other states has shown that, due to its slow growth and reproduction, no more than 10% of a population should be harvested every 10 years. Harvesting levels greater than 10% over 10 years progressively deplete the populations. Other harvest suggestions include removing only a portion of the leaf, as was done historically by the Cherokee Tribe, but current scientific research has not yet established harvest guidelines with this method. In Maine, no research has been done to date to investigate sustainable harvest levels. Please consider participating in the Maine Wild Leek Project to help us better understand and conserve this species. To register confidential information about wild leeks you have found, fill out our Maine Wild Leeks Project form. P.S. Please remember to respect landowner’s property: observe posted land and ask for permission to pass on un-posted land. Kids Harvest! 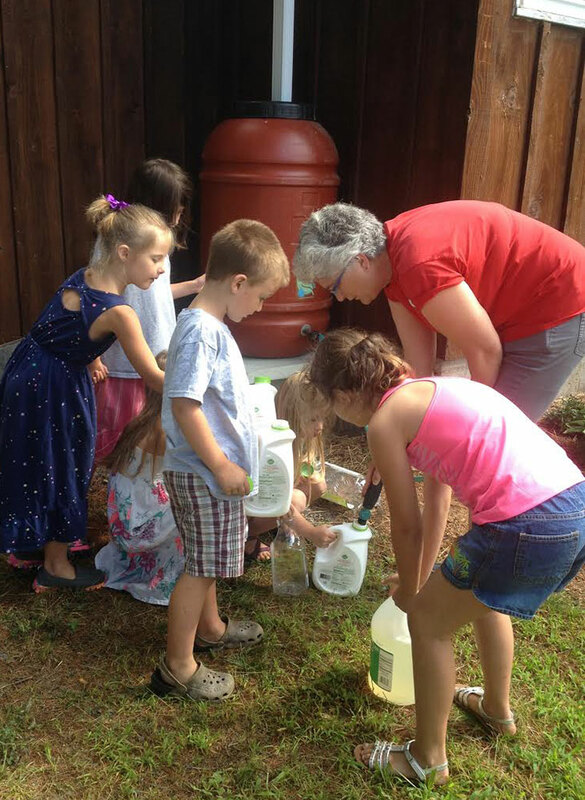 participants learn about rain barrels from Mim. “Kid’s Harvest!” is a program designed for children ages 5-10, with the added benefit of inter-generational community involvement. Members of the senior community are reached by word of mouth. The children come together with adults and seniors to learn, create, and provide fresh produce for the local food pantry. Mim, Librarian Karen McNutt, and volunteer Peggy Fogg have created a fun, safe, and educational space for youngsters to learn about the wonders of the natural world, while also learning empathy and the valuable lesson that no act of kindness is too small. Hosted by the Richville Library in Standish, the “Kid’s Harvest!” gardens were established in 2014. The original garden consisted of just four raised beds, totaling a mere 96 square feet of gardening space. 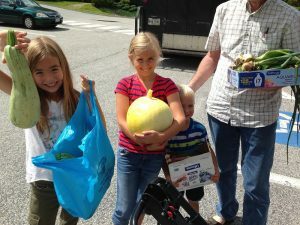 Yet in its first year “Kid’s Harvest!” donated 105 pounds of produce (through UMaine Extension’s Harvest for Hunger initiative) to Catherine’s Cupboard, the local food pantry, located in the Standish town hall and supported by St Joseph’s College. In the second year, Karen McNutt offered additional gardening space on her own property, bringing the total number of square feet to 734. The donation to the pantry increased five-fold, to an astounding 597 pounds. There is a devoted core of volunteers. Mim provides lesson plans, activity ideas, and inspiration, Karen McNutt the themed book list, Margaret Fogg the themed craft ideas, and even the food pantry managers have assisted with healthy snack ideas and organization of visits to the pantry. Community members have been enlisted for everything from bed building to fence raising and painting to hooking the water up. “Kid’s Harvest!” runs spring through fall and each year the program chooses an overarching theme. This year’s theme will be “A Sustainable Future.” A majority of the children that participate in “Kid’s Harvest!” come from the Standish Parks and Recreation program, but other children from the community attend as well. There are twelve learning modules in all. Each “Kid’s Harvest!” session is one and a half hours long with four primary components, all linked to the theme of the week. These four components consist of a gardening or science activity, a book, a craft, and a healthy snack (think cucumber boats with yogurt). Kids Harvest! participants deliver fresh produce to the food pantry. Librarian Karen McNutt reads to the children for a portion of each session. When speaking with Karen, her passion for books is effusive. She selects the books by the relevance of their topic, interesting story lines that would appeal to the diverse age group, and have really eye-catching illustrations. Some of the children’s favorites have been The Cow in Patrick O’Shanahan’s Kitchen by Diana Prichard, a story about where food comes from, appreciation for farmers, and planning a family meal around seasonal produce, and Tops and Bottoms by Janet Stevens, a trickster tale about a clever hare who tricks a lazy bear. The bear and the hare get involved in a gardening business together. The hare’s tricks and hard work allow him to garner the vegetable profits, while the lazy bear sleeps through the planting season and doesn’t make any profits. Mim Walker provides the instruction and the inspiration for the entire program. Her energy and dedication to this program are seemingly inexhaustible. Activities include seed starting, making seed tapes, “Make it Rain” experiments, learning how a food pantry works, soil testing, and even field trips to St. Joseph College’s farm to learn about composting. Last year, Mim added another component, “Just Imagine.” This jump-started the children’s imaginations for reusing and recycling objects. Each week a different object that could possibly enter the waste stream was selected to be redesigned or reused for some other purpose. Milk cartons became flowerpots or piggy banks, plastic juice containers became watering cans, and maracas and Keurig cups became­­­­­­­­­­­­­­­ bird feeder cups or snack bowls. It inspired the children to think about the planet and steps that they could take to reduce, reuse, and recycle. 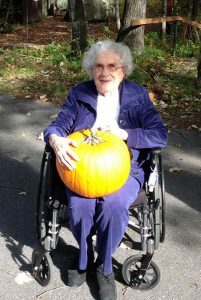 Mim’s mom takes part in Kids Harvest! Even Mim’s 90-year-old mother gets in on the crafting, having once been a serious crafter herself. With much hard work, Mim has found many partners that either donate supplies, time, money or food for the snacks for the program. 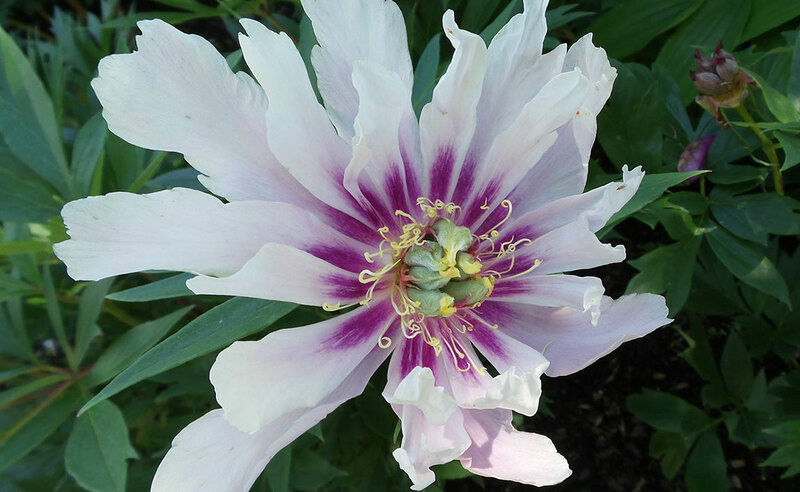 The program has been the beneficiary of the Norm Steele Memorial seed grant, awarded by the Cumberland County Master Gardener board. These generous grants have helped to sustain the program in its first years. The additional list of partners is very impressive and ranges from church groups, nurseries, St. Joseph College, the Parks and Recreation Department, local businesses, parents, and so many more. The pantry welcomes the children, and any food that is not given away at the pantry is redistributed to local soup kitchens. Nothing goes to waste. If you would like to know more about the “Kid’s Harvest!” program or donate time, supplies or much-needed funds, you can contact Mim Walker through the Facebook page for the program at www.facebook.com/kidsharvest. Some of the most intriguing flowers in my early spring garden are the “wild” Turkish tulips. 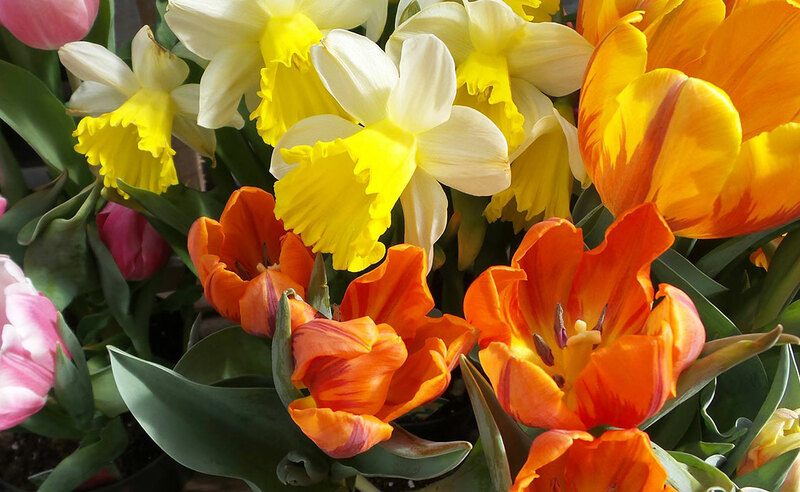 These tulips, readily available through regular flower bulb sources, are what some believe to the original tulips of Central Asia. By the time “Tulipmania” swept Holland in the 1630s the hybrid tulips were already the dominant players. When most people think of tulips they think of those hybrid, towering giants found in gardens today. The “wild” tulips I am referring to are reliably perennial, short, fragrant, self-sowing, ground hugging plants with bicolor foliage. It is from these that Turkish hybridizers started hundreds of years before Tulipmania. They are so easy to grow it’s tempting to try them all! Wild Turkish tulips have been recorded as early as the 1590s in central Asia. 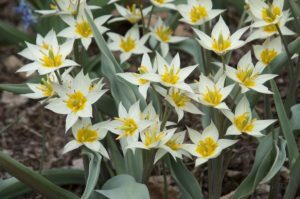 Tulip turkestanica and its cousins are multi-flowering, botanical tulips generally with yellow and white star shaped flowers. Today, modern breeders have introduced other colors. 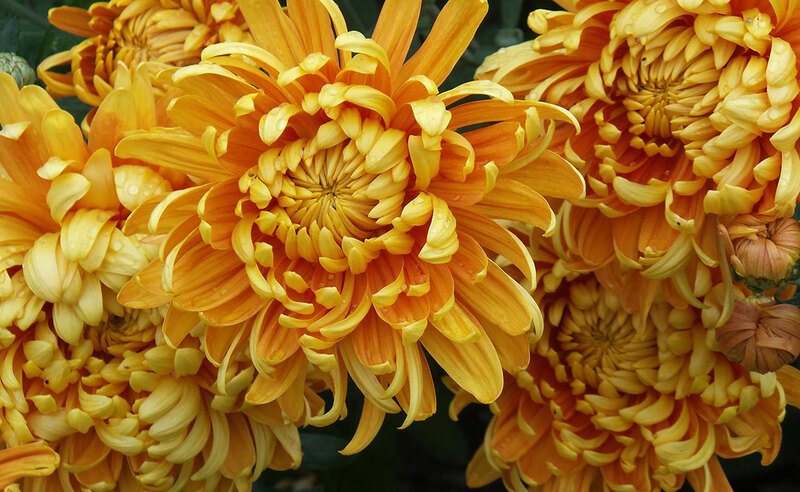 They are usually short (under 7”) blooming in March and April depending on the zone. Because these are native to Turkestan, they are very hardy little bulbs with some varieties reliably blooming in Zone 3. They are easy to grow, doing well in tight spots or large drifts. They prefer full sun, but will bloom in partial shade. They like well-drained, relatively fertile soils with moderate moisture. Plants will slowly colonize with the new plants, looking like grass so watch when you weed around existing plants. Like other spring flowering bulbs, wild species tulips should be planted in the fall. The bulbs are small and relatively inexpensive, so planting drifts of them will be easy on the wallet. The history of tulips reads like a Dan Brown Novel. It has intrigue, deception, broken hearts and fallen fortunes, and just a touch of insanity. If you want to know more about Tulipmainia, visit the Stitching Hortus Bulborum website. But these species tulips continue to intrigue. Even in modern times there have been expeditions to record species tulips in their natural habitat — you can take an interactive journey at Tulips in the Wild. The wild tulips we buy today are all cultivated stock, not wild collected. The species tulip has been around since the beginning of this centuries-long tulip saga and continues to intrigue passersby of my little urban perennial border every spring. Spring marks the arrival of a bounty of spring greens that are great for eating fresh in a salad or sautéing. This simple and basic vinaigrette puts you in the driver’s seat for choosing ingredients that will drive the flavor on your spring greens. Making your own vinaigrette is more than easy, it’s also fun to try new flavors AND save money! Use vinaigrette to jazz up salad greens, pasta salads, as well as chilled raw or cooked vegetables. Mix all ingredients in a clean screw-top jar. Store in a refrigerator and use within two weeks. Shake before using. Garlic vinaigrette: prepare as directed, except add 1/2 teaspoon garlic powder or 1 clove garlic, minced. 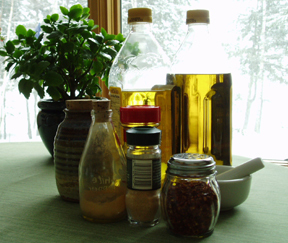 Parmesan vinaigrette: prepare as directed, except use oregano in place of thyme or basil. Add 2 Tablespoons grated Parmesan cheese and 1/4 teaspoon garlic powder or 1 small clove garlic, minced.